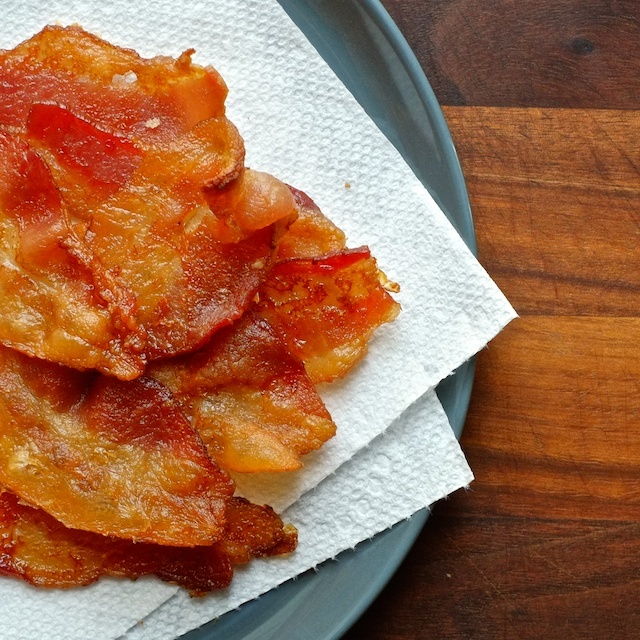 There isn’t really a wrong way to cook bacon, but some ways are definitely better than others. When I cook bacon I want it to turn out crisp but not burned, I want to be able to walk away from it, and I’d rather not ruin a shirt or arm with hot grease splatters. It’d be nice if it was easy to clean up as well. This is why I cook my bacon in the oven, at a relatively low temperature, for a longer amount of time than most. Low, slow cooking allows the fat in the bacon to render and become crispy, while minimizing those “turn around for two seconds and it’s charcoal” experiences. 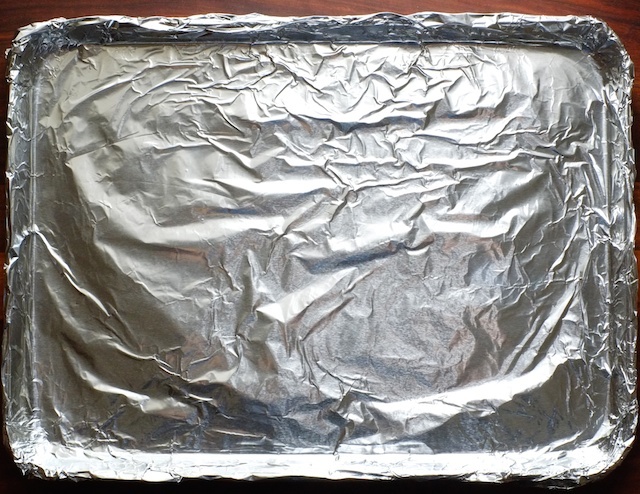 I also cut my bacon in half (for more even cooking) and use foil pretty religiously because it eliminates the need for scrubbing pans and makes disposing of the grease a non-issue. Usually when roasting, you’re admonished to not crowd your pan if you want your veggies (or whatever) to brown up. But this is bacon, not veggies. And bacon is full of fat, not water. So go ahead and crowd the pan, I promise it will still get crispy. Plus when the fat renders out, the bacon will shrink to about half it’s original size. Bummer, but hey, bacon! 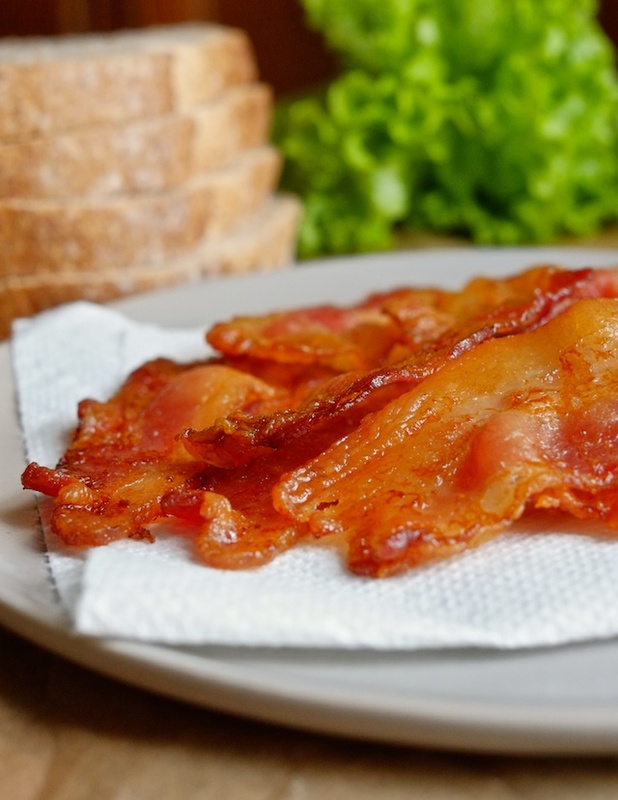 When you finish, bask in the glory of golden brown, perfectly crispy, evenly cooked bacon. And it’s all done at the same time, so you can eat breakfast with buddies instead of babysitting a spitting pan of hot fat while everything else gets cold. 2. 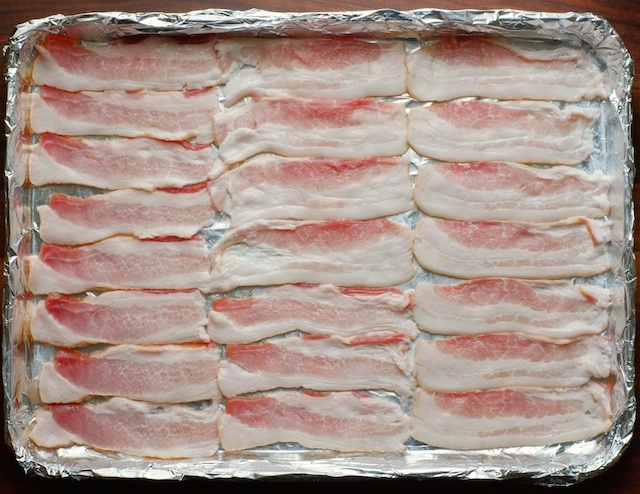 Line your baking sheet with aluminum foil and line up your bacon end to end until the pan is filled. 3. Roast your bacon in the oven for 40-50 minutes, or until it’s as done as you like. 4. 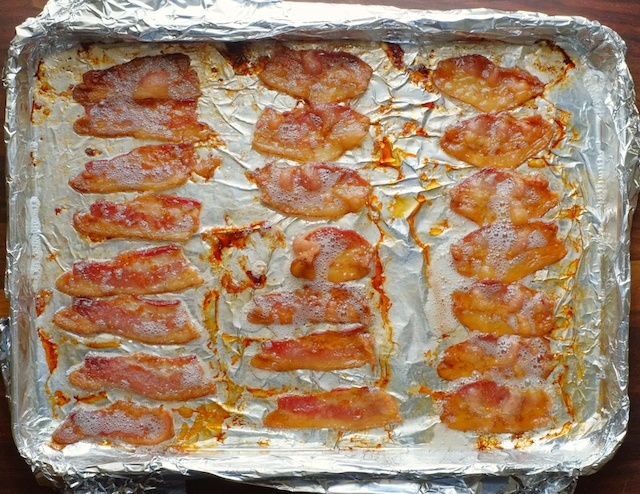 Drain bacon on lined plate or cooling rack, allow it to cool slightly, and serve.